Six Dunwoody students to earn a Bachelor of Architecture degree May 17. Six Dunwoody graduates will take a step closer to becoming architects as they walk across the stage May 17 at the College’s 2018 Commencement Ceremony. The students are the first to graduate from Dunwoody’s Bachelor of Architecture program. The degree — which launched in fall of 2015 — is structured as a plus three stackable credential. 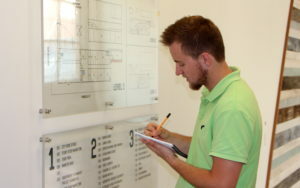 Students enter the program with an Associate of Applied Science in Architectural Drafting & Design (or a related two-year architectural degree) and leave with a comprehensive, professional Bachelor of Architecture degree after the final three years. Dunwoody is one of the only schools in the nation to use this structure. 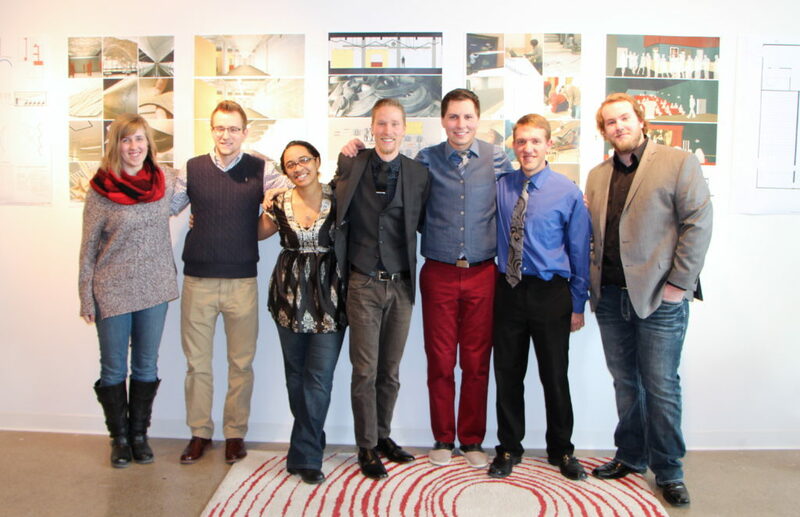 Several Dunwoody Architecture graduates at a final project presentation in 2015. “Graduating our first class is a significant milestone in the academic and professional communities throughout our region,” said Architecture Program Manager John Dwyer. Since day one, Dunwoody’s Bachelor of Architecture has flipped the standard model of architectural education. Instruction from actively practicing faculty; real, hands-on projects; and training on current design software and equipment gives Dunwoody Architecture students a more practical and focused education than traditional Architecture degrees — a selling point for many of the College’s students. The approach has also reassured students that what they are learning is valuable and relevant. 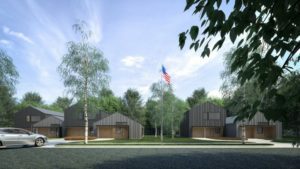 Projects from these partnerships have ranged from developing construction documents for veterans’ housing, to building acoustic sound panels, to designing an eco-friendly kitchen and dining hall. The students have also studied in culturally rich places like Cuba, Barcelona, Italy, New Orleans, Chicago, Boston, and San Francisco. In 2017 and 2018, students and faculty contributed to hurricane relief in Puerto Rico. It’s been quite the journey. And after five years, Commencement is finally in site for the Dunwoody Architecture graduates. And while a normal sleep schedule, time to travel, and no more homework are appealing to the grads, their biggest excitement is where their skills and talent will take them next. Bares will also begin working full time at his current employer, Alliiance, upon graduation. He hopes to use the knowledge and skills he’s learned to make a difference in the world — especially in places like Puerto Rico. This sense of global perspective and responsibility is just one of the many ways these students have made Dwyer proud. Dunwoody’s Commencement Ceremony will be held at the Minneapolis Convention Center Thursday, May 17, at 7 p.m.